While associated with Litchfield, Benjamin Tallmadge was born in Setauket, on Long Island, in 1754. 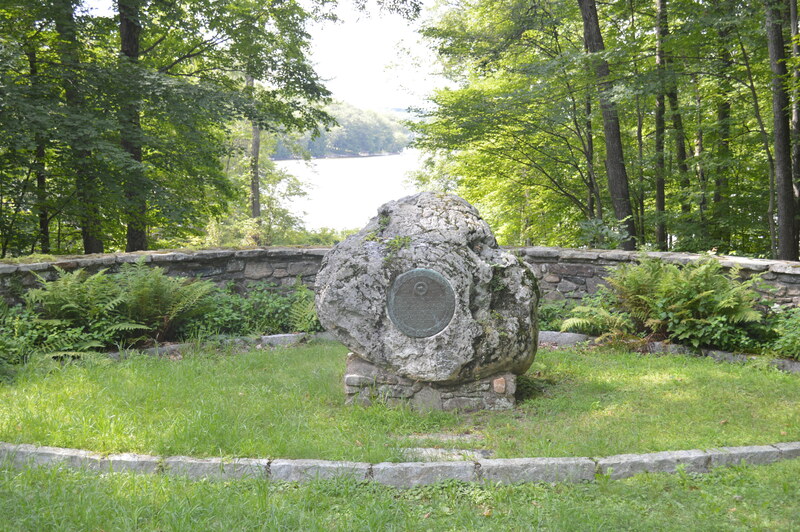 A Yale graduate and classmate of Nathan Hale, Tallmadge was serving as superintendent of schools in Wethersfield, Connecticut, when the Revolutionary War broke out. Tallmadge was initially a major in the 2nd Continental Light Dragoons, but gained his fame as the organizer of the famed Culper spy ring, gathering information in the New York City area for relay to George Washington. 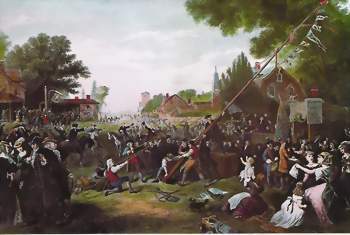 Tallmadge led several small unit actions during the Revolution, which later generations might term “commando raids.” Perhaps the most famous of these was a raid on Manor St. George on Long Island which was followed by the destruction of a stockpile of hay intended as winter fodder for British horses. 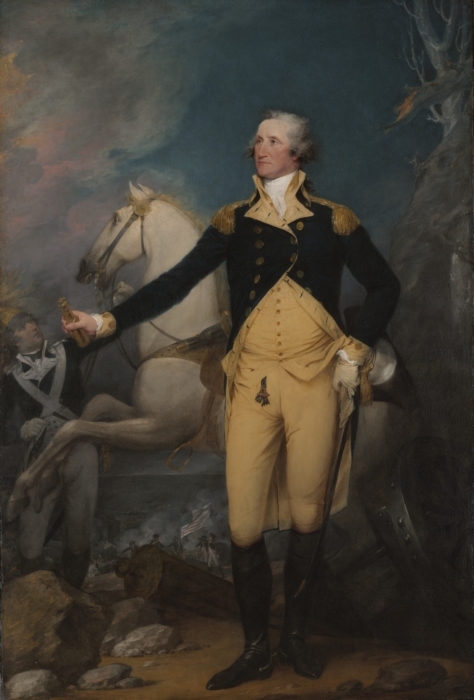 This earned Tallmadge a commendation from General Washington, who wrote “I have received with much pleasure the report of your successful enterprise upon fort St. George, and was pleased with the destruction of the hay at Coram, which must be severely felt by the enemy at this time. I beg you to accept my thanks for your spirited execution of this business.” Tallmadge concluded his service as Washington’s chief of intelligence, which earned him the rank of colonel. 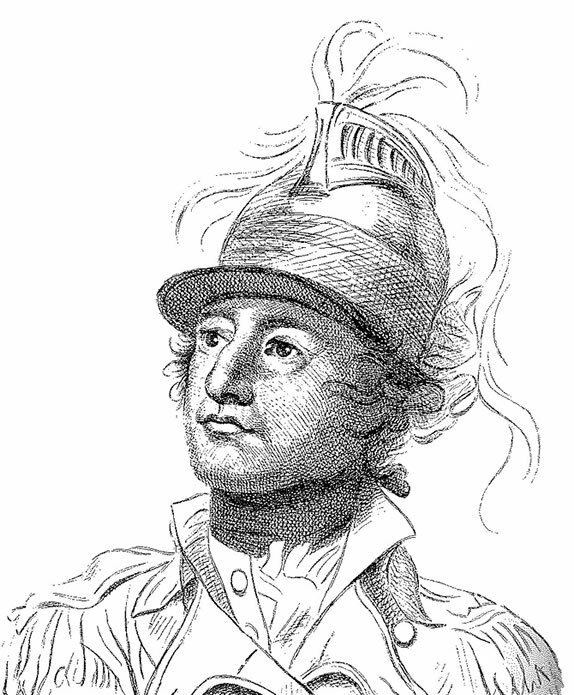 In this role, Tallmadge was present for Washington’s famed 1783 farewell to his army at Fraunces Tavern in Manhattan. 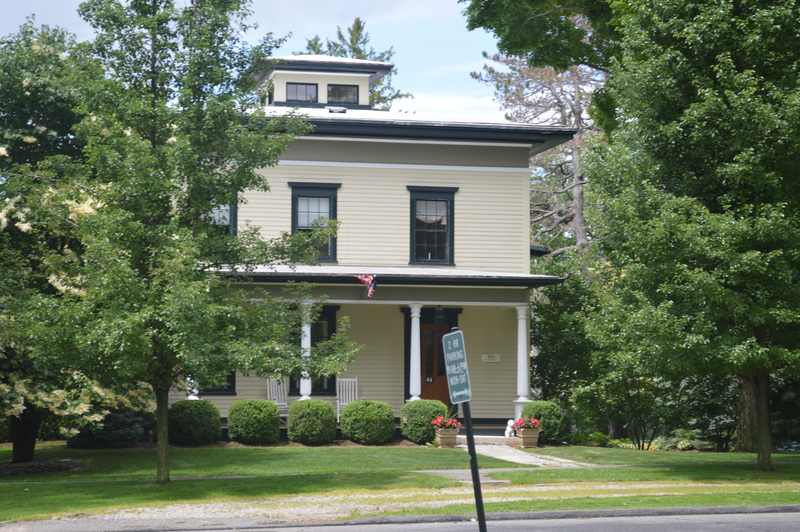 Tallmadge’s home on Litchfield’s North Street. 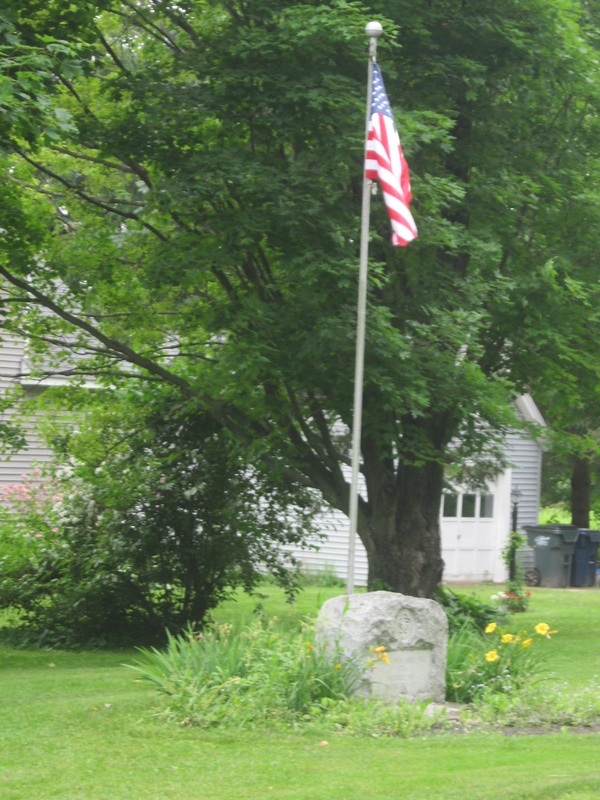 During the war, Tallmadge and his brother had begun a mercantile business in Litchfield, and it was in this town that the Colonel settled when the war was over. 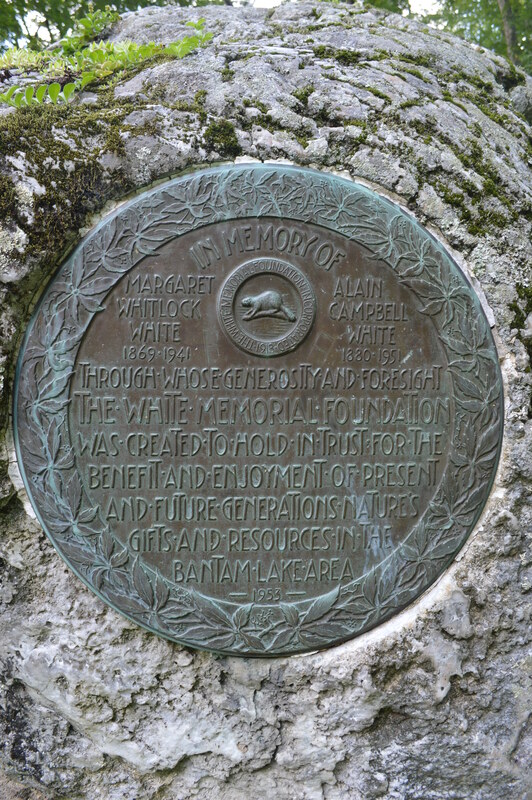 As a businessman, investor, banker and member of Congress and associate of Washington, Tallmadge was certainly among the town’s most respected citizens. 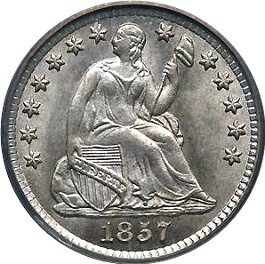 Tallmadge’s wife, Mary, was also a prominent resident, and her father William Floyd was a signer of the Declaration of Independence. 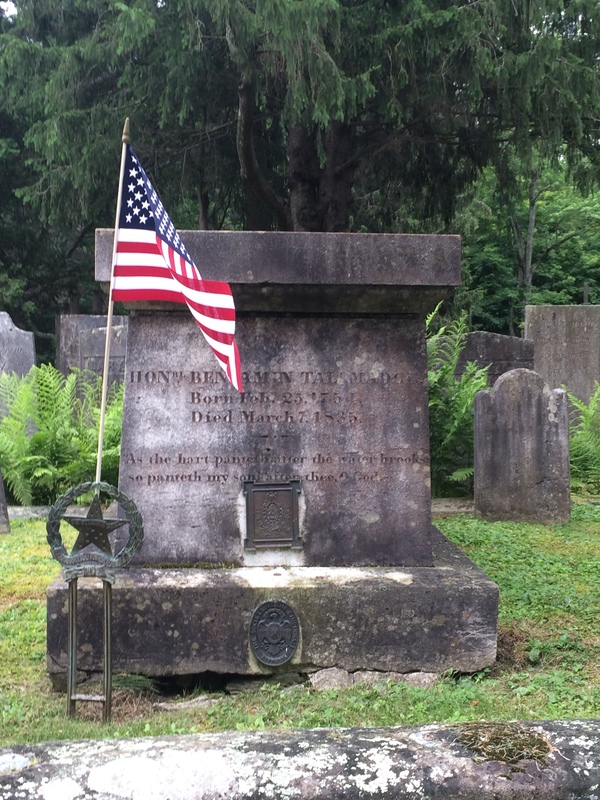 Tallmadge died in Litchfield in 1835 and is buried in the East Cemetery, where a ceremony commemorates his contributions to American independence every July 4th. 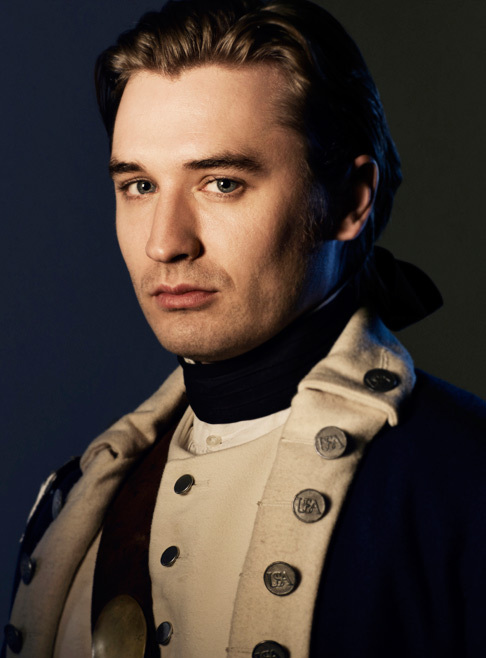 Seth Numrich as Benjamin Tallmadge on AMC’s Turn. Tallmadge has recently come to the public’s attention through the AMC Revolutionary War spy drama “Turn,” which features his exploits. A tip of the hat to reader C.S. Moore for reminding me of this! A site for which people stand in line for hours is hardly hidden. 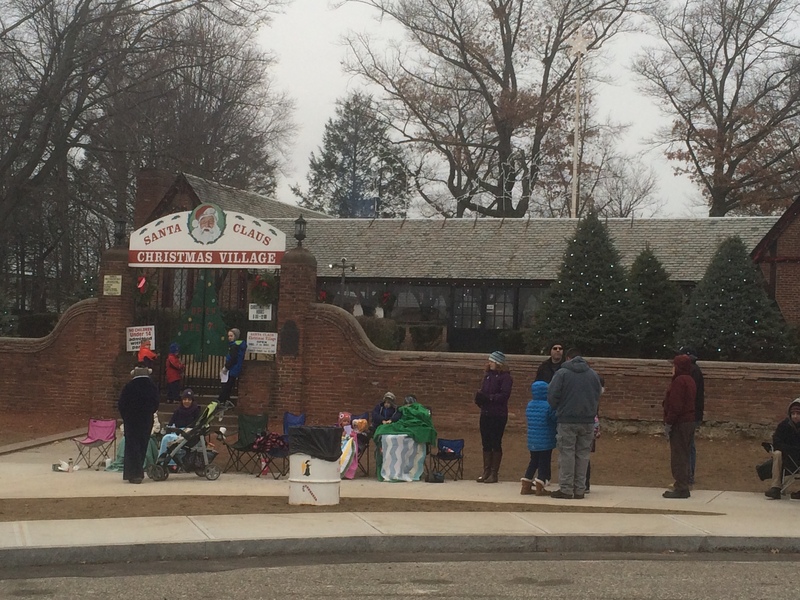 Carl Bozenski’s Christmas Village has been a fixture of Litchfield County’s celebration of Christmas since 1947. Bozenski was Torrington’s Parks and Recreation Supervisor who, frustrated with the commercialization of Christmas, opened his own Yuletide attraction to spread holiday spirit. 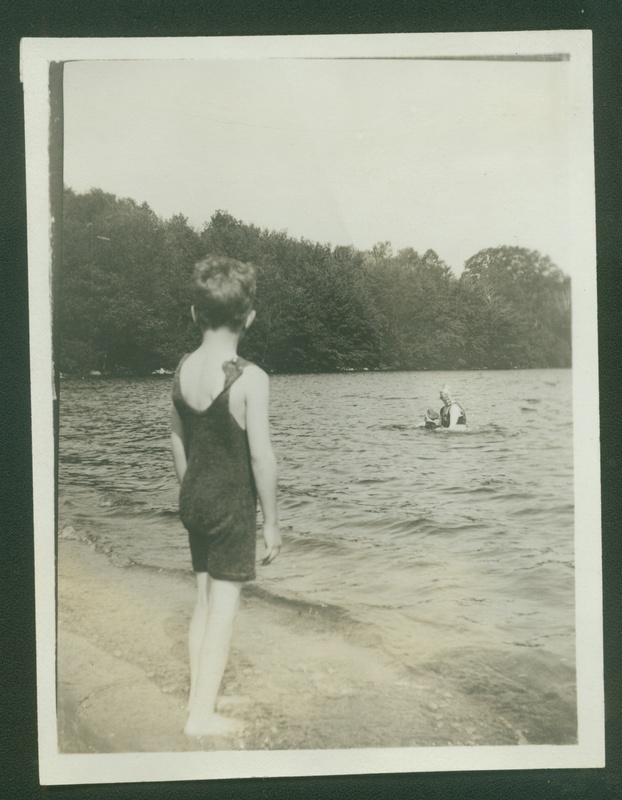 (The site was also once used for summer camps.) Nearly seventy years later, crowds continue to pour into the village. The Christmas Village opens with a parade through town in early December. Visitors stand in line – often for hours – to see the toy workshop and Santa’s house, to meet Santa himself and receive a small toy. (Toys are collected through a community toy shower.) In 2013, more than 20,000 people visited the Christmas Village, keeping alive the dream of Carl Bozenski and securing its place as a centerpiece of a Litchfield County Christmas. A very merry holiday season to everyone who takes the time to check out this blog! 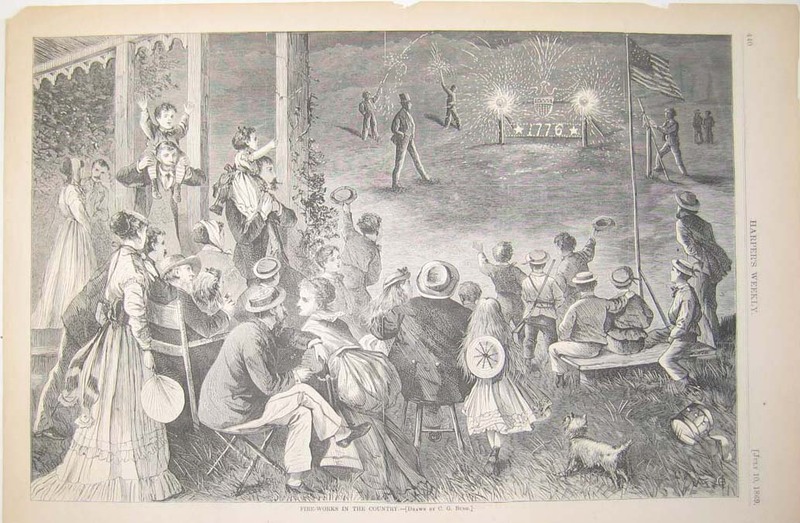 An 1869 issue of Harper’s Weekly depicted Fourth of July fireworks. At sunrise on Independence Day, the town’s bells rang for another hour, and all townspeople were asked to display the American flag. 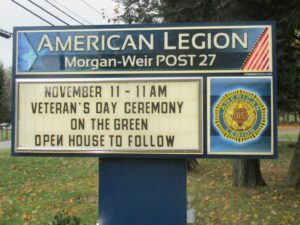 The formal public ceremonies began at 10:00 am with church services and a reading of the Declaration of Independence by Truman Smith, the 94 year-old former senator and congressman. 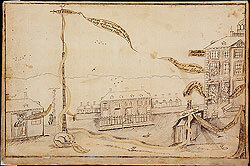 In the afternoon, a display of Revolutionary War artifacts was opened in the Court House. The day concluded with another illumination and with fireworks over the center of town. 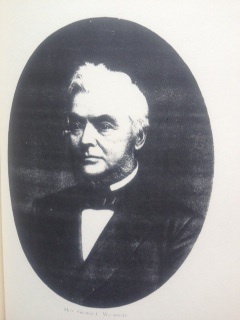 Woodruff would go on to be the first vice president of the county historical society before his death in 1885. It is not difficult to imagine that it was with great pride in his role in honoring the nation’s centennial that Woodruff had that memorable date carved into a stepping stone outside his home on South Street, opposite Saint Anthony of Padua’s Church. Situated in what appears to be a typical Connecticut rustic barn along Flanders Road in Bethlehem is a holiday and artistic treasure. Victor Amadeus II was crowned king of Sardinia in 1720. As a coronation gift, he was presented with a Neapolitan crèche, consisting of 68 figures made of wood, terra cotta, porcelain, and jute. They represent the Christ child, Mary and Joseph, shepherds, the three kings, and Italian villagers. Their village is made from the bark of cork trees, and gives insight into the activities of those who lived along the Italian coast in the 18th century. Following the king’s death in 1732, the crèche was obtained by an Italian noble family, and it made its way to the United States in 1948. The Abbey of Regina Laudis was established the previous year, born out of the destruction of World War II. Mother Benedict Dunn was born Vera Duss in the United States, but lived much of her early life in France. She spent most of the war in the bell tower of the Abbey of Notre Dame de Jouarre, from which she watched the advance of George Patton’s liberating United States Third Army. The kindness and sacrifice of the soldiers led Mother Benedict to establish a foundation in the United States. The nuns were welcomed to Bethlehem by the artist Lauren Ford, who opened her home to the order until they could find a place of their own. A local industrialist named Robert Leather donated the 400 acres that today comprise the Abbey. The crèche was a gift of Loretta Hines Howard, who presented it to the Abbey in 1949, in memory of her husband. Several years later, Mrs. Howard donated a similar crèche to the Metropolitan Museum of arts, where it graces their Christmas decorations every December. The Metropolitan’s curatorial staff was instrumental in the three-year restoration process the Regina Laudis crèche underwent from 2005 to 2008. The crèche returned to Bethlehem for Christmas 2008 after the figures had been cleaned and repaired, the original 1720 costumes being hand stitched. 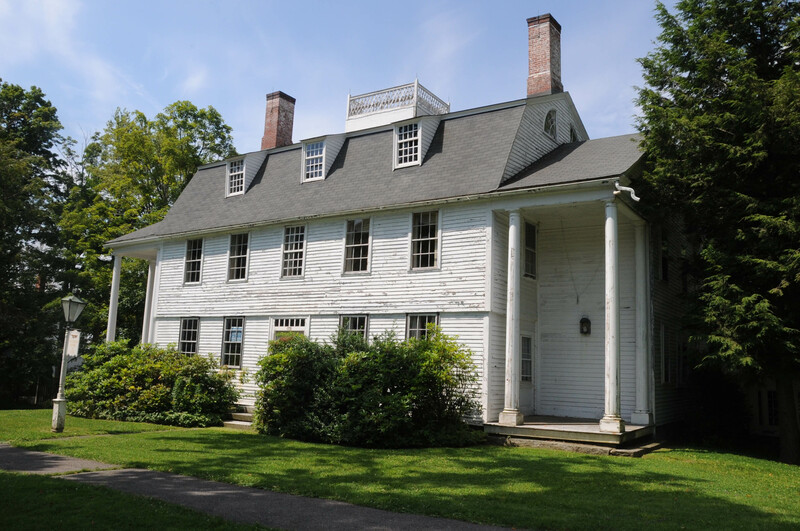 The barn, which itself dates to the 18th century and once belonged to famed local minister Joseph Bellamy, was outfitted with climate control technology to ensure the preservation of the pieces. To all of those who have taken the time to stop by this blog, a very happy holiday season! Note: Occasionally Hidden in Plain Sight will leave the environs of Litchfield in search of the historical landscape of the area. 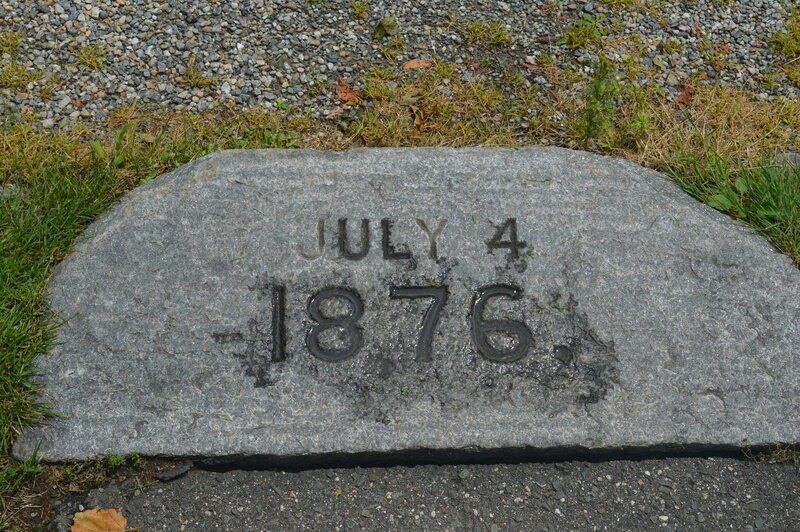 On this Fourth of July, a marker on East Street North in nearby Goshen, Connecticut, allows us a window on to past celebrations of American freedoms and liberties. 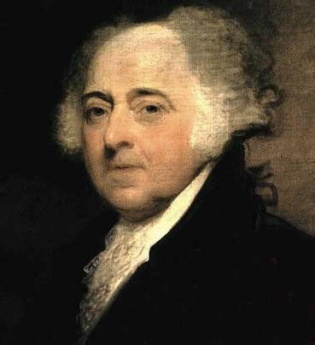 John Adams famously believed that the signing of the Declaration of Independence “ought to be commemorated, as the Day of Deliverance by solemn Acts of Devotion to God Almighty. It ought to be solemnized with Pomp and Parade, with Shews, Games, Sports, Guns, Bells, Bonfires and Illuminations from one End of this Continent to the other from this Time forward forever more.” He was not far from the mark; he erred only in believing that the celebrations would be held on July 2nd, the day the Continental Congress approved the document. 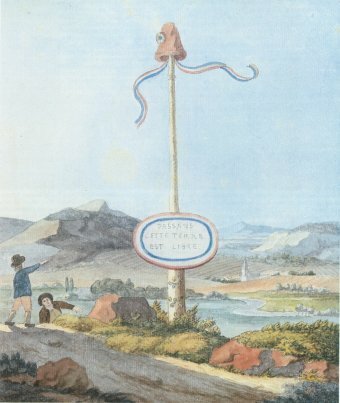 Liberty poles were often seen flying a red ensign; this was a signal for patriots to assemble to discuss the latest acts of British oppression. Naturally, British authorities objected to this means of communication between rebels, and the poles were destroyed. 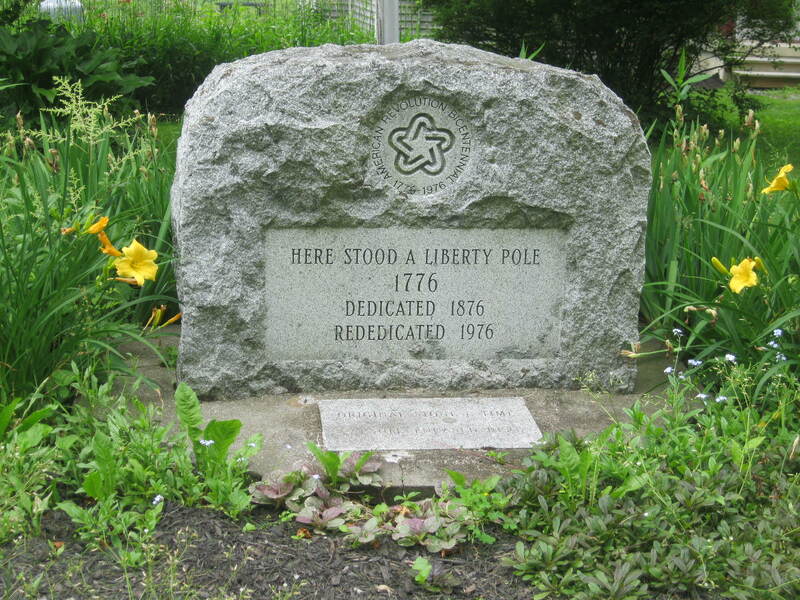 Just as quickly, however, they were rebuilt by Americans – especially the Sons of Liberty. One hundred years later, Goshen’s liberty pole was rededicated, as part of the official celebration of the nation’s bicentennial. 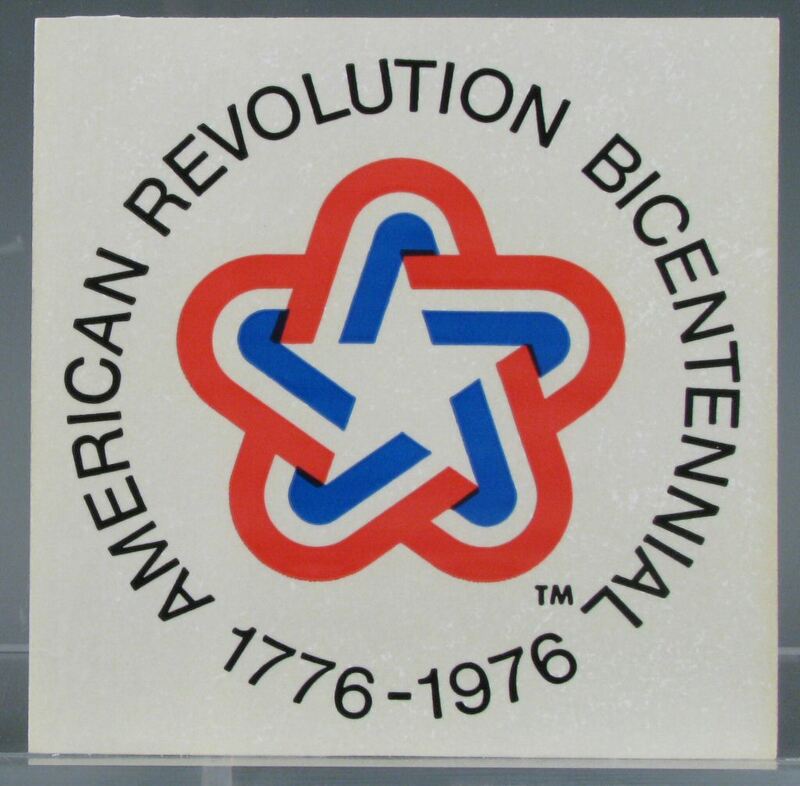 A stone marker was dedicated, bearing the official seal of the Bicentennial, a flag pole erected behind it, and a time capsule buried. We will celebrate the 236th anniversary of the nation’s independence in the style predicted by Adams – with pomp, parades, sports, and illuminations. Still, it is worth a trip to Goshen to be reminded of how freedom and liberty were celebrated in a simpler time.